Dark Horse Comics has released the fifth volume in its Complete ElfQuest omnibus graphic novel series collecting the canonical adventures of the Wolfriders. This volume weighs in at a hefty 760 pages and collects the tales of Chieftess Ember and her half of the Wolfrider tribe. These stories were originally published in the comic series Elfquest: Hidden Years #16-29, as well as the entire ”Wild Hunt” sequence from Elfquest comics (vol.2). Find the book now at your local bookstore or comics shop or order it from Things from Another World. or Amazon. 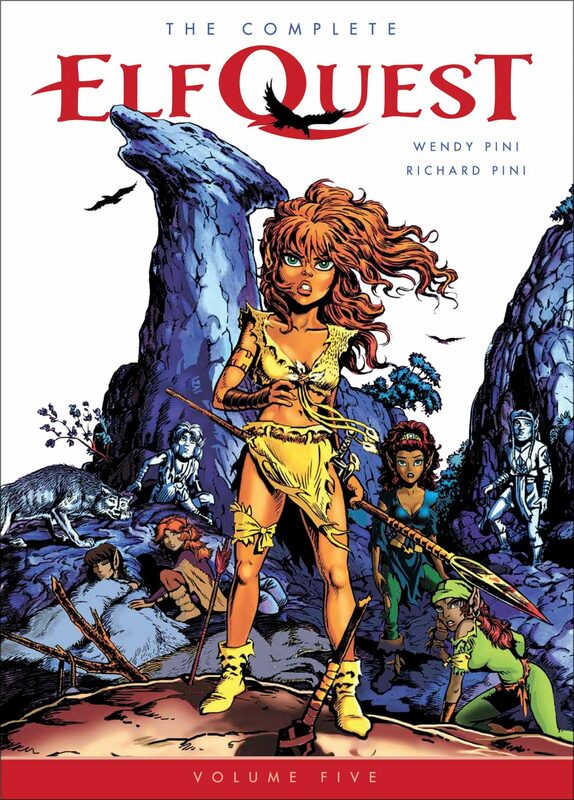 You can get a copy signed by Wendy and Richard Pini in the ElfQuest eBay store. Digital release dates on Comixology and Dark Horse Digital have not been announced but keep checking.